From time to time I get opportunities to work at sporting and music events. I have worked for a few private companies over the years but now limit myself to just the one! It's the only company, other than my main employer that I will work for, and that is simply down to the people that run it, the people that work for them and the working atmosphere that's created by the above combination! It's a far cry from the endless decreasing morale and target driven pressures of every NHS ambulance service! For that reason, every opportunity that presents itself, I grab with both hands! I recently did a weekends work at sporting event for children. It was a great opportunity to have a nice change of scenery and also to learn! It's not often you get to have an abundance of paediatric patients with minor injuries and I think it's important to get this exposure from time to time! I had a great weekend and for the first time in a while, thoroughly enjoyed being at work, and thoroughly enjoyed the company of all of my patients! 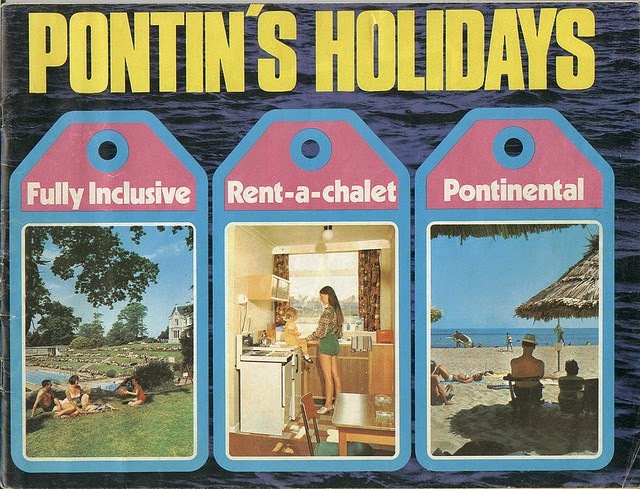 For two nights, we stayed at the local Pontins, where all the participating kids and their families were also staying. I've never done a review as such, nor a sponsored post, and this is neither. However, it was an eye opening experience which I should be shared and discussed! The 1970's hay day of Butlins and Pontins has long since gone. I first went to a Butlins in the 1980s when the Red Coats vs Blue Coats battle was in full swing. To be honest, I don't have the fondest memories of my stays there but they were what they were. Basically, a cheap family holiday, entertainment for the kids, a cabaret and somewhere safe for the parents to get drunk, guilt free! Move forwards 20+ years and I arrive at Pontins for my Blue Coat experience! I really can't complain. This was free accommodation during a paid weekends work. A bed was all I needed in reality! I drove along the promenade of the sea side resort and it was literally like driving through the 1980s! 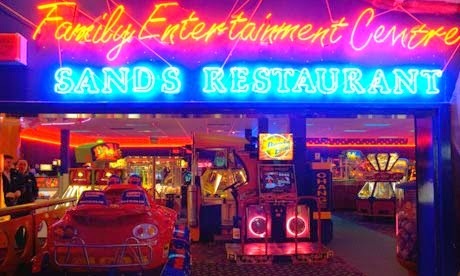 The amusement arcades, crazy golf courses, fairground rides, flashing neon signs in abundance and candy floss stands, where as garish as you'd expect. 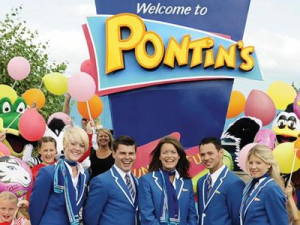 The huge Pontins sign welcoming me to the resort was the cue to stop and park. I met my friends outside the clubhouse and in we went for a welcoming drink! We walked through the arcade and into the bar area where I was greeted by Tony Christies 'Amerillo' being utterly murdered by a cabaret artist! It was quite the entrance! We didn't stay long as it was late, so I made my way to my 'Chalet'. After arguing with the rusted lock for a number of minutes I made it inside. The damp smell of rot hit me first as I entered. I turned the light on and scoured the room, taking in its magnificence! Initially my eyes were drawn to the sprawling mould across the living room wall, but there were so many more delights to find! The electric heater in the living room was condemned with a 'Faulty' sticker on it, so chances of warming the room up to get rid of the damp was slim to none! There was a spill of magnolia paint on the floor and brush marks across the skirting boards, spiders web in the 'bathroom' and a murky puddle on the floor. I wasn't sure if it was a leak or old urine. Either way, it was somewhat off-putting! The bath itself was a half size bath, suitable only for standing in, unless you were a fully fledged Umpa-Lumpa. The bathroom mirror had hand prints on it and the toilet, when flushed, sounded exactly like Rolf Harris playing a saw! The kitchen area was clean enough. It even had a welcome pack containing a tea bag and an open sachet of sugar! The electric meter was down to £3.10 so I kept the lights off! Moving into the bedroom, there were two single beds about a foot off the floor. They appeared however to be clean and there was a bin bag of fresh bedding ready for me to make my own bed. The pillows were stained so I opted to double up on the pillow cases. Finally, I turned the bedroom heater on to be greeted by a turgid smell and smoke, so I left it off and went to sleep. Oh, and I was woken by the sun at 05:45 because there were no blinds and the curtain was missing on one side! Despite all the above, I slept like the dead and had a thoroughly good nights sleep, so in that respect, Pontins had served its purpose! I went for my morning shower to realise that there were no towels provided, so I had to use the spare bed sheet to dry myself! I went off for my days work, all ready for another night in the unique Pontins paradise! It may sound like I have put a downer on the place but I'd yet to experience the cabaret in all its glory! That evening, after a long days work and a hearty meal at a local restaurant, all the medics gathered for a few drinks in the clubhouse to watch the evening entertainment. On stage, were a 3 piece 'band'. Two female singers, one about 25, one about 45 and a middle aged man on a keyboard. Occasionally, one of the woman would pretend to play a guitar but in the main they just sung. They spent about an hour destroying disco classics from the 80's and 90's. It was so bad, it was funny! I looked around and at times the dance floor was pretty full. The kids were having a whale of a time. There was a girl in a wheelchair being spun around by her friends and the joy on her face was palpable. Parents were all getting involved too. Most were in fancy dress and making a fool of themselves and the kids were thriving on that. Alcohol was consumed by all and we sat around laughing at everything going on around us! Then it hit me. The room might well be the worst I have ever stayed in. The beer might be the most watered down I've ever tasted. The performers may be the worst I have ever seen. The surroundings may be 30 years out of date. But, and it is a big but, everyone here was having a good time. Everyone was laughing, and most were with their children. It made me realise, that in 2014, there aren't many things that families do together where they can all be silly. 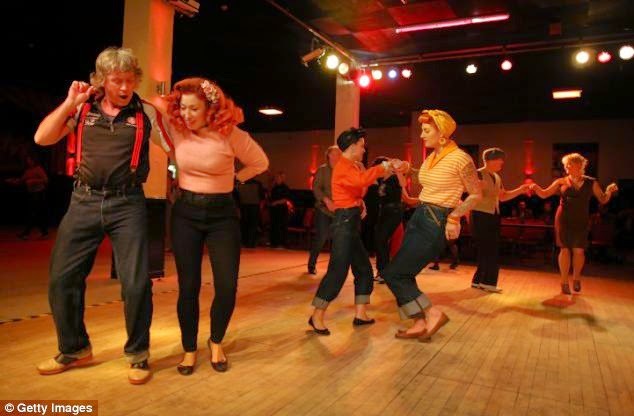 It may be dated and badly managed, and one of the only places left in the country that operated all its shops and bars on a cash-only basis, but it is still, all these decades later, bringing families together to have fun. Despite its inadequacies this should be celebrated. Would I book myself into Pontins by choice? Probably not. However, there experience has made me more determined to let my son see me make a fool of myself from time to time! The next morning, I listened to a very serious looking father lecture his son about the previous days performance. "If you come off that pitch like you did yesterday thinking you could have done better, then you could have done better and you could have tried harder. You go out there and do better than yesterday, don't leave anything on the tough line, do you understand?" It was a far cry from the Macarena the night before. In the modern day child's life of pushy parents, sporting prowess, SATs, GCSEs & A Levels, perhaps everyone should take a Pontins break to remember what being a child is like. They don't care about the rooms, the singing or the beer. They just want to have fun. And that, is why I keep coming back to work for this company, every time I get a chance, because it is always fun, and in the modern day adults life of long hours, school runs, rent, bills, housework, MOTs and weekend DIY it is often the fun that get's forgotten.